A beautiful 9 kt. yellow gold pearl station chain and a remarkable 18 kt. 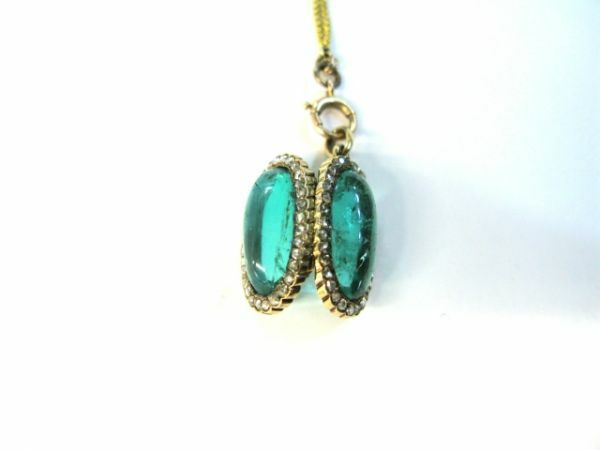 yellow gold antique pendant locket that has 2 oval cabochon emeralds, est. 8.86ct. and 64 rose cut diamonds, est.0.50 ct.( SI-I1 clarity: J-K colour). 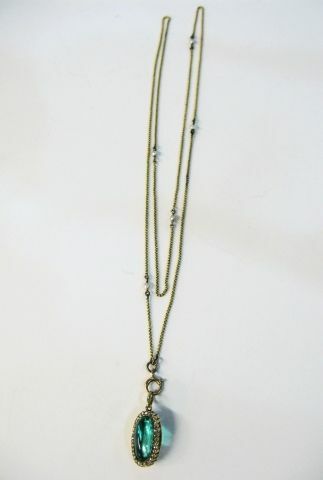 The necklace is strung in an irregular spaced manner with five freshwater pearls. It is approx. 26 inches (66.04cm) long. Please make an appointment to see this beautiful pendant locket.